I moved into my new house over two and a half years ago and I FINALLY have a headboard! 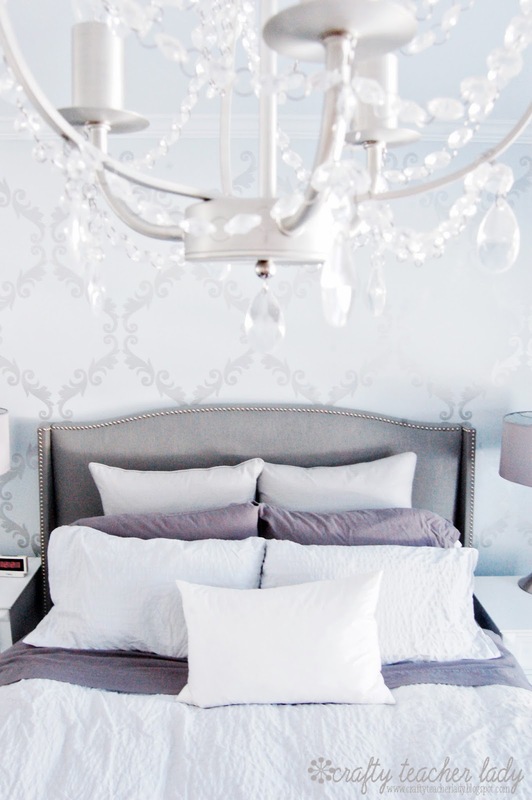 I was originally planning on making my own upholstered headboard since I've seen lots of tutorials on how to do so (I even purchased the fabric already) but I just never got around to it. 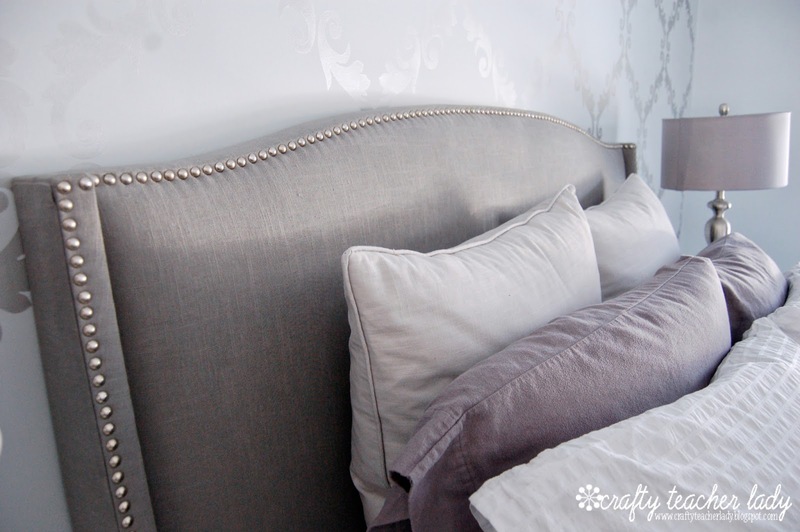 I was doing some online window shopping a couple weeks ago and came across the perfect headboard...it was gray, it was sophisticated, it was upholstered, it had nail head trim, and it was affordable! It's the Palermo Wingback Headboard from Target! 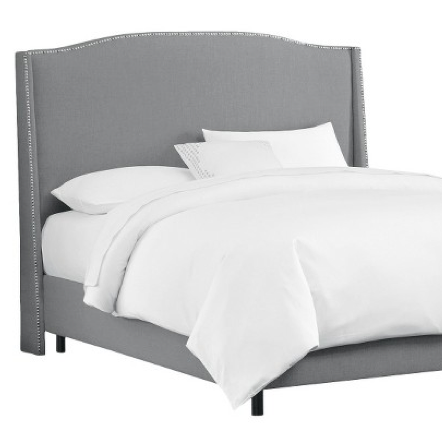 They also sell the entire bed with upholstered side and foot boards but I want room for under bed storage so I just ordered the headboard (which was on sale)! Once it arrived, I had it out of the box, assembled, and in place all by myself in a matter of 20 minutes! I was worried that the headboard would be too short because my bed frame is 14 inches off the floor and then I have both a box spring and a mattress on top. However, it turned out to be the perfect height! 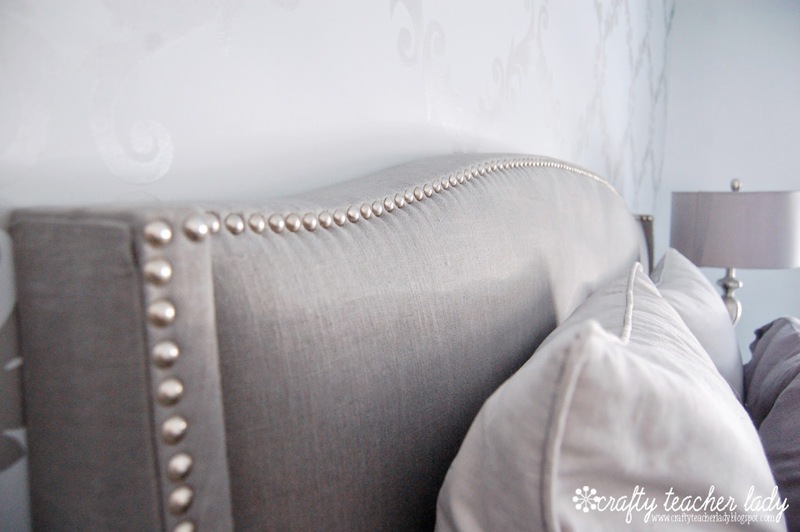 these details make the headboard look far more expensive than it is! After propping pillows on the wall for two years, it amazing how much more finished the room looks with an actual headboard. I really love it!! Tax return funds were put to good use! 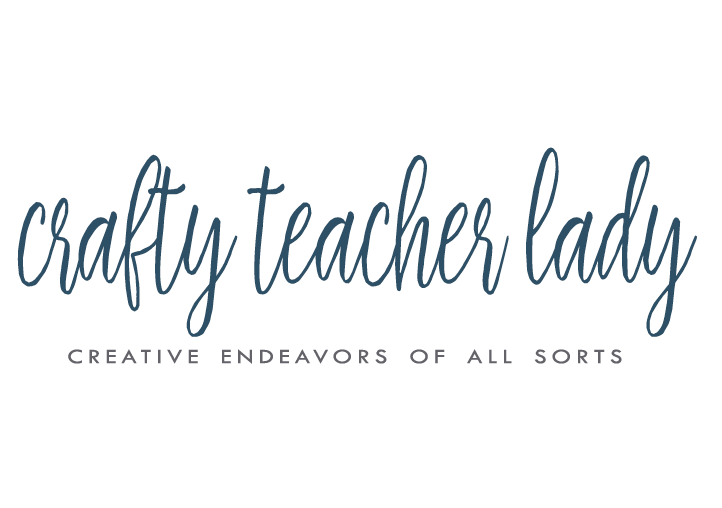 For more information about the wall color in the room as well as the silver metallic stencil, I wrote a post all about it here!